Sunadam is a online music project that aims at simplifying Carnatic music. With that end goal in mind, I want to ensure that the reader interacts with the content in a sequential manner. The reason for this is that one normally builds knowledge by using known concepts to learn unknown concepts. If the reader is faced with a whole bunch of unknown technical concepts, the learning process becomes overwhelming and ultimately the interest will be lost. If you already have basic understanding of terminology, then you can approach the posts in a manner which suits your preferences. So this post will be used to curate content in a logical and sequential way. Hopefully that will help you in making sense of the words used in posts. Although the site is dedicated to learning Carnatic music conceptually, the practical aspects will be taught primarily on violin and to some extent in the vocal form. So the list of videos are also structured accordingly. 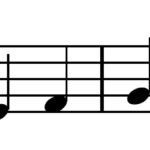 In Carnatic music, there is no instrumental style of playing per say. So it is a very important for learners of the violin (or any other instrument for that matter) to be able to vocalize what you have learnt. Hey. I am regularly watching videos & reading your web. I’m glad & happy about the information that you provide. It’s easy to understand & simple. I’m having difficult in using metronome application. Like how to use the app. Could you briefly explain with the application shown in the video. Makes it way more understandable for me. Thank you. I shall explain the metronome in depth in future videos. But here is an analogy. If you remember marches in school, students would march to a drum beat: Left, right, Left. Why? That helps us sync with one sense of time and move in union. Time plays an important role in music, and most of us use our intuitive sense of rhythm in our head to maintain time. But tools like the metronome provide us a perfect standard. So we pick a tempo that is suitable for composition or exercise, and use it. For example 60 BPM is a good tempo for practising 1st speed of sarali swarams. Every-time the click is heard, you change the note. But I was disappointed to see that there are no new videos added after 2016.. will something come in future or this project is stopped..? Thank you for your feedback. I am very busy these days, so I have no time to spend on these tutorials which take a lot of time to make and edit. Hopefully I can look into it in the future. Sure… wish you good luck! !